Our new hats are perfect for a day on the water! Gotta have a hat for those bright sunny beach days. And let's not forget wind! 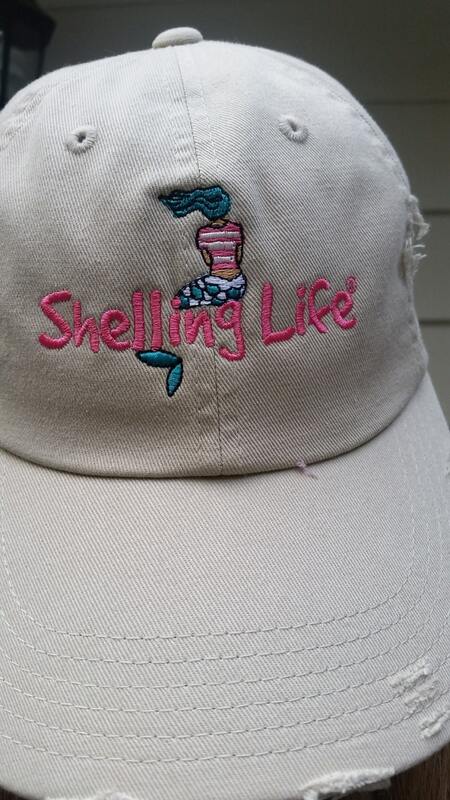 We've embroidered our registered trademark Shelling Life® and our favorite nautical mermaid on this hat. This hat is 100% cotton twill and has a distressed look. They are a very nice quality with an adjustable cotton strap and D ring slider to size easily. Color here is a soft khaki color.